For current A.R.T. Members. Please pay online via Credit Card or Pay Pal account. * The Research Library is located on the fourth floor of the Museum, off the Hall of Vertebrate Origins (see the Museum's interactive floor plan). Join us for an evening of discovery of how archives have enabled scientists and environmental historians to uncover vital data about the natural history of our planet (and our city! ), and how archives will continue to be a critical information resource as our society addresses an uncertain environmental future. Archivists from AMNH will provide an overview of several major projects underway at the Museum, all of which are connected by the common goal of providing scientists and research staff across the institution with improved discovery and access to the archives of the Museum and its scientific departments, ensuring that crucial archival research can be integrated into AMNH's widespread scientific research initiatives in unprecedented ways. Eric W. Sanderson is a Senior Conservation Ecologist at the Wildlife Conservation Society (WCS), where he has worked for 16 years. In the conservation community, Sanderson is known for the human footprint map, showing human influence at less than 1 square mile resolution globally, and for conservation planning, especially as relate to species (e.g. jaguars, tigers, snow leopards, bison, peccaries, etc.) at range-wide and landscape scales. Popularly he is known as the best-selling author of Mannahata: A Natural History of New York City, and associated website, museum exhibition, and datasets. He is also the author of Terra Nova: The New World after Oil, Cars and Suburbs, about the promise and peril of the suburban American landscape, and two other edited volumes. Sanderson’s current interests are in conservation in the New York City region, the contributions of urbanization to conservation globally, and the historical ecology of culturally significant cities like San Francisco, Jerusalem, London and Beijing. Ted Steinberg (joining via Skype) is Adeline Barry Davee Distinguished Professor of History and Professor of Law at Case Western Reserve University. He has worked as a U.S. historian for twenty-five years, and has received fellowships from the Guggenheim Foundation, the American Council of Learned Societies, and the National Endowment for the Humanities. In 2006 he was the B. Benjamin Zucker Fellow at Yale University. Dr. Steinberg's publications have focused on the intersection of environmental, social, and legal history. 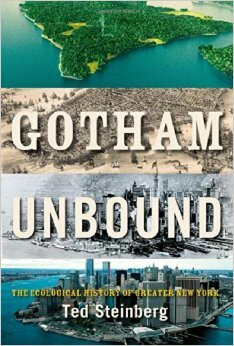 His most recent book is titled Gotham Unbound: The Ecological History of Greater New York (Simon & Schuster, 2014). 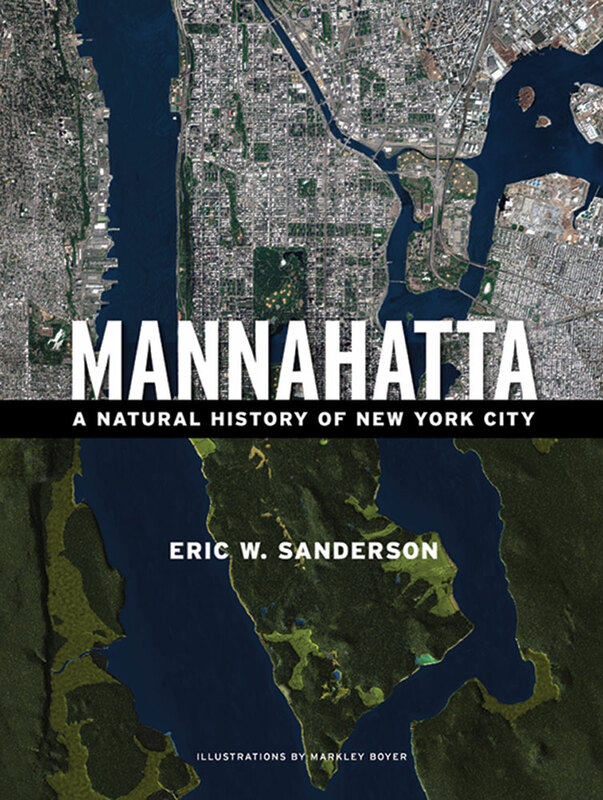 The book examines the ecological changes that have made New York the city that it is today. Online Registration Required. Please register no later than midnight on Monday, April 6. Please note that you MUST pay in advance online in order to attend this program. (You DO NOT need to have or create a PayPal account to pay online). If you have any questions or concerns regarding payment, please email programming@nycarchivists.org. For questions regarding registration for this event, please contact programming@nycarchivists.org. A.R.T. would like to thank the American Museum of Natural History for graciously co-sponsoring this event!